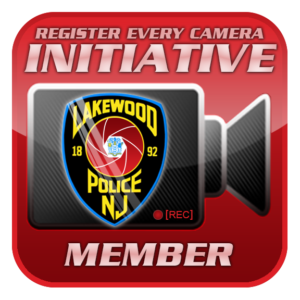 In an effort to continue our commitment to providing excellent police services, the Lakewood Police Department is forming a community partnership that all residents and business that have cameras on their property can register with the police department. Participation in this partnership is completely voluntary. All registered information will be kept confidential and will only be viewed by authorized Lakewood Police Department personnel. We are not asking and will not monitor your cameras. This is strictly to be used as an investigative tool to aide officers and detectives. 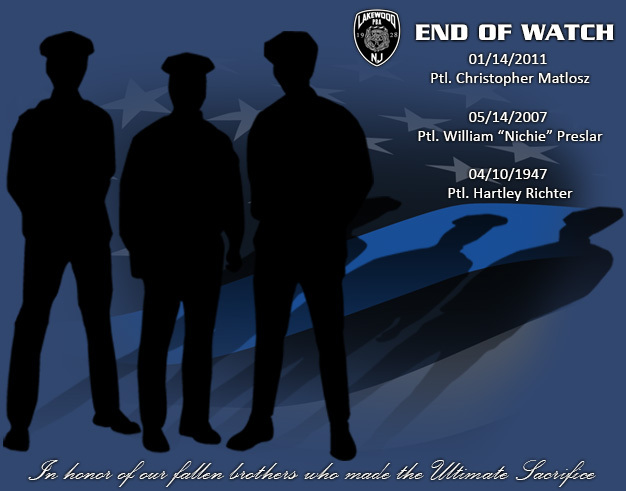 If you are interested in participating in this partnership with the Lakewood Police Department, please fill out the form by following this link. 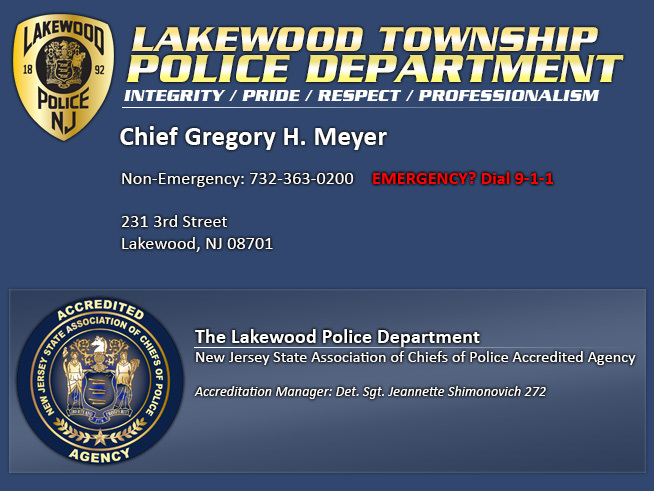 Please send an email to rec@lakewoodpolicenj.com if you have additional questions. 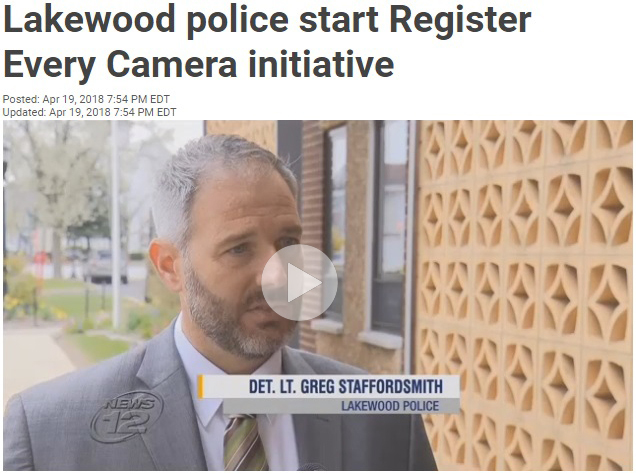 News 12 Story on the Register Every Camera initiative. Video available here. Q – Will my personal information from filling out the registration form be secure? A – Yes, your information will only be viewed by authorized Lakewood Police Department personnel. Q – Is the Lakewood Police Department asking to view my security cameras live? A – No, this partnership is completely voluntary. You will only be contacted if a crime occurs in your neighborhood and you are willing to share any footage your cameras may have recorded and/or photographed.